We spent yesterday working with two Ugandan refugees living in Nairobi. They had a dream of one day opening a spa of their own. Not only could it be a livelihood for the two, but it could be a space where they can be welcoming to all. After Day 97, they have their very own space! Today, we’re getting the supplies necessary for running the successful business they want to create. The duo plan to offer a number of services — facial therapy, eyebrow shaping, nail extensions, gel and cutex polishing, plus manicures, pedicures, and acrylic nails. To attract a range of customers, they need a range of supplies, too. 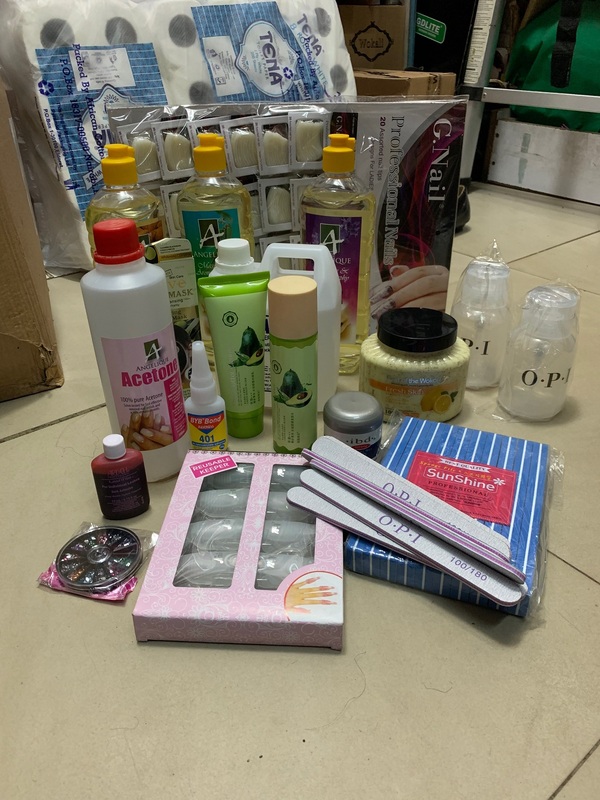 So we went out to a few shops and bought many of these supplies — face masks and exfoliating scrubs, nail clippers and emery boards, regular polish and gel polish…the works!